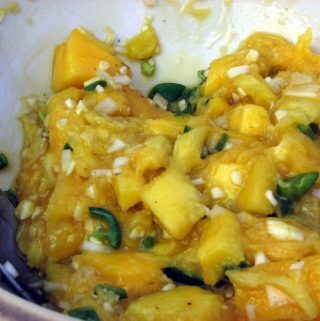 This site would NOT be complete without a blog post devoted entirely to the ever-tasty mango salsa. Oh the love’s gonna start pouring in because, frankly, mango salsa is good with just about anything. I love it with pork. Other folks love with fish or beef. It’s alllllll good. But…some of us are in a hurry, and we can’t fathom the idea of the chopping and cutting necessary to make a decent salsa. No problem. 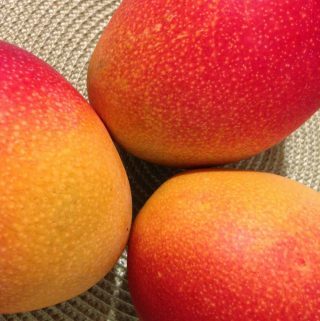 Mango Maven’s got your back. I mentioned in my “Ode to Trader Joe’s” post that they sell a delicious mango and papaya salsa. And how lucky are we that Costco sells a really tasty one too – I think with peach, not papaya. Both are really, really good offerings. In each store, you’ll find the salsas in the fresh, refrigerated goods section. I’m happy to add other fresh salsas here from other markets too. Just let me know what else is out there! Previous Post: « The Mango Peel. To Eat or Not Eat?